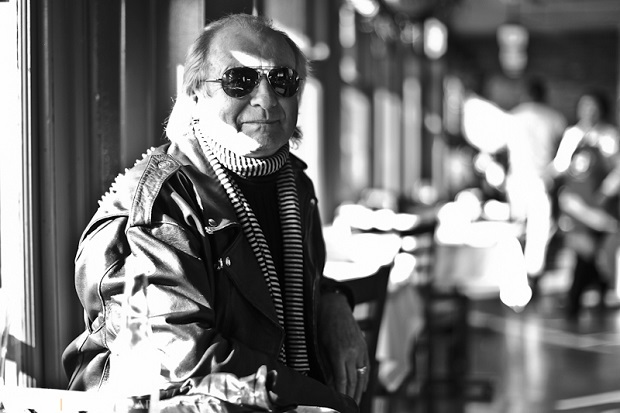 Alan White is a musician who needs no introduction. A man who contributed drum work to some of the progressive rock’s most precious records and set new standards in terms of his craft for future generations, going on to pursue a 40 year career resulting in dozens of records and collaborations. Now in his 60s, White is still looking forward to new challenges with a revitalized Yes. 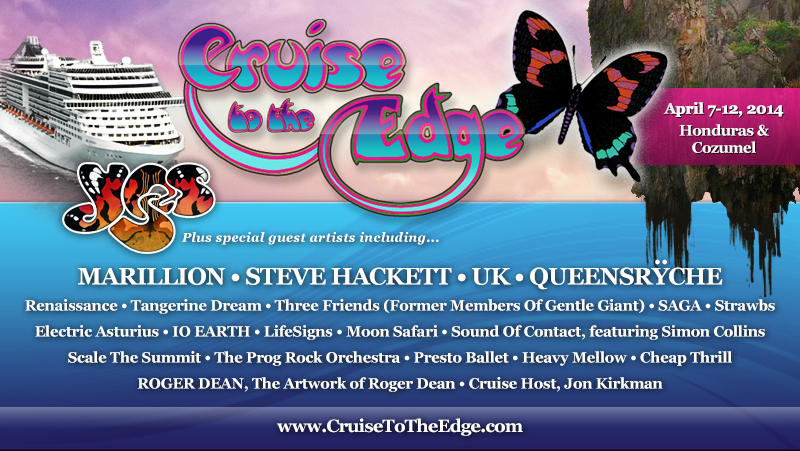 He and the band are set to host the second annual edition of the Cruise to the Edge event that is to take place from April 7th to April 12th this year. Prog Sphere spoke to Alan about upcoming cruise, a new Yes album, his future collaborations and overall contribution to the progressive rock genre. The upcoming Cruise to the Edge festival is the second annual edition. What are the differences from an organizational point of view compared to the last year’s edition? The bands on the boat are more progressive styled, more entertaining. We did that cruise last year with really good bands. You tend to get people on the boat who are really progressive minded, and they enjoy really good progressive styled music. It is an experience you go through, just enjoying the music and the great thing about it is the bands and the fans are all on the boat for five days, and the you get to mingle with the fans, and talk to people on the one to one basis and just have lot of fun basically. We did it last year and it was very successful, and we hope it is again this year. Were you satisfied with how the first festival turned out? Yes, I was really, really satisfied with first one. There were so many great people on the boat and we had a lot of good times. All of the bands were very friendly with each other and we hung out with each other, and eat together – stuff like that. So, everybody just made for a camaraderie between the bands. It was just a great time all around for the bands and for the fans. And I think everybody really, really enjoyed the cruise, and I’m looking forward to doing it again. The boat has been designed with this kind of cruise in mind. We have many stages on it and pretty much we listen to music from lunch time to the time you go to sleep, and it’s great experience. It’s very rewarding. How do you envisage the cruise experience from the fan’s side? To me, it looks like a vacation where you get a chance to see all these great bands and enjoy the music. Yeah, exactly; last time we went to the Cayman Islands and Jamaica. This time it’s British Honduras and Mexico, and then back to Miami. We have a good time on the boat, there’s many places to go on the boat and it’s just perfect. Because the cost of these new prog cruises inevitably restricts the audience to an older demographic who can afford it, do you not worry that they alienate a much needed younger audience for prog? I find that audience is pretty much like most of the bands we invite on the boat, and we get a wide variety of people enjoy our music today. From – actually we get teenagers and almost three generations of people that come to see the band on the stage. They heard the music through their parents and things of that nature. So, we get a lot of people come on the boat from different age groups, and the vibration on the boat is really good, everybody just seems to love the scenes going on. The line-up this time around is significantly bigger compared to the last year’s edition. Did you go for a particular style of band when compiling this year’s line up? If I’m not mistaken, apart from YES (of course), there are also five bands making their second appearance? Yeah, we picked the bands, UK play great music… And Steve Hackett, he’s a good friend of mine and the band. You know, we are all good friends. It’s just a great life experience, I am really privileged to be involved with Yes. Yes talked between each other and we find bands that are most suitable for that kind of cruise. Tangerine Dream, I’ve always been a fan of their music, so there’s gonna be a lot of great music going on on the boat that you will extremely enjoy. In addition to standard show performances, the cruise includes many other activities and events. What does it exactly entail? We do Question & Answer periods where we sit on stage and answer questions from the audience, and so do the other bands too. So, you can ask the questions and find out anything you weant about the bands’ careers. It’s finding out who the bands are, one on one. Famous YES album design artist Roger Dean will be on board as well, to talk about the back story of his unique designs, and there will be a special art gallery where these creations can be viewed and purchased. Will the band be joining him with the commentaries on the album designs, too? Yes, he will also do a Q&A. And we’ll also hang around with him and sign his artwork, photos, that kind of thing. Speaking of YES, what are you preparing for the upcoming cruise? What will your set be like? I think I might be taking Dramamine (anti seas sickness tablets) again. [laughs] No, I don’t get seasick, I’m very used to sailing on boats and I have been on the sea a lot of times. Last time we only really had one rough journey, usually it’s a smooth passage. I’m taking my wife along, and I will just be enjoying the cruise, taking photos. The band will be mostly touring this year, but according to a photo album from January on the band’s Facebook page the new album has been in the works with producer Roy Thomas Baker in Los Angeles. Is the recording already finished? Do you have a title for the songs and the album yet? I’ve finished a lot of the percussion work, we’re doing the guitars right now. I think you’ll really enjoy our new album, and we’re looking forward to possibly playing a couple of numbers from it, if it’s possible on the cruise but it may not be but the show we’re putting together for the cruise everyone will really enjoy. It’s hard to explain! Jon Davison has had some influence on the songwriting for the new album written material for the new album that has really wonderful melodies. There’s a certain amount of great musicianship and just generally, what you’d expect from Yes, a lot of great harmonies, great guitars, good high performance music. Are you aiming for a 2014 release? Yes, absolutely, that’s what’s going to be happening, April sometime. 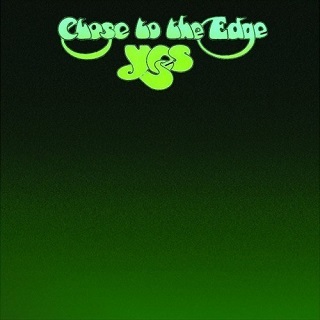 On the 2014 world tour the band will continue to play The Yes Album, Close to the Edge and Going for the One in their entireties. What are the logistics behind these performances? Yeah, in 2014 we’ll be playing some of that material but we’ll also be playing some different material. I think in Europe we’ll be playing the three albums as we never performed that in Europe, we only did it in America, so when we return from Europe we will be changing the format quite extensively, possibly playing other albums, like Fragile. Does it feel like recreating the history while playing these iconic albums from front to back? Yeah, it’s great, I don’t mind doing it all. It’s a lot of fun, actually playing the albums live, really enjoyable. Do you plan at some point to play any of the other albums from the back catalog in their entirety? Possibly not Tales from Topographic Oceans! Oh – I’m not sure about Topographic Oceans [laughs]; we made that a long time ago and the preparation for playing TFTO would be huge, we’d have to rehearse for quite a while, it really would take a lot to perform that on stage. It could be foreseeable in the future, but probably not this year. Close to the Edge was remixed and remastered in stereo and 5.1 surround mixes. Are you satisfied how Steven Wilson handled this job? Are there any plans for doing the same for any of the other titles from the catalog? I think it’s in the works. There’s a possibility of that, but right now we’re concentrating on making the (new) album and looking forward to touring for the rest of the year. How did you react to the band’s nomination this year for the Rock and Roll Hall of Fame? (Laughs) Fantastic! To get nominated was very satisfying for any musician. The fact we didn’t get in, a lot of guys get nominated and don’t get in. Who knows, possibly next year we’ll be nominated and be inducted. 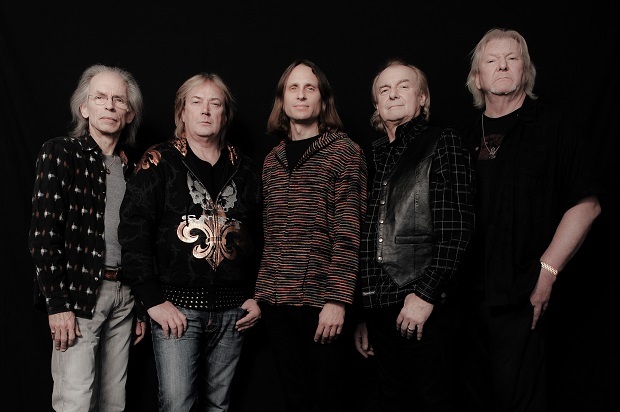 Your first studio album with YES was 1973′s Tales from Topographic Oceans. Can you recall your first impressions of experiencing this new and adventurous music back at the time? It must have been very different from The Plastic Ono Band and George Harrison’s All Things Must Pass? Yeah, it was very different. When I first joined the band in 1973 I only had three days to rehearse lots of difficult new material, and I was also going through a lot of experiences recording in the studio and I also had my own band. I was experimenting with a lot of different time signatures and progressive styles so I was prepared in a way and the band made it easier for me to do that, so when we got to Topographic Oceans the creative process led to some very adventurous music and we wanted to experiment with this music and move forward and create music people would enjoy. Where you aware of Bill Bruford’s drumming at the time, and did following him hold any fears for you? No not really. I’d met Bill quite a few times around that time and I’ve met him many times since and he’s a great performer; I like Bill a lot. He’s a great drummer possibly he’s retired now. How did knowing that you were doing something that new and different reflect on your ideas musically? Oh, it was wonderful because I could channel and to be able let out my interests and abilities in music and move onto different things which nobody else had before. That was my ambition and goal in music. It has been almost eight years since you released the self-titled White album. Are there any plans for a new record? I particularly enjoyed the Levin Torn White album, where your drumming seemed somehow more primal and forceful. How did that collaboration come about? I’d known Tony a long time but the producer who was a big Yes fan, he approached me with the idea of doing the album and of course I came up with a bunch of ideas which and then Tony joined in and then Torn so it was something that came out of the blue but a lot of fun to play. Any other studio contributions that we can expect from you in the near future? From that? They want us to make another album – I’m not sure whether David Torn but Tony and myself want to make another album whether David does or not, I’m not sure but it’s in the back of our minds.